Legal cases continue from the events of last September's Republican National Convention. This week, federal prosecutors recommended a three to four years prison sentence for Bradley Neal Crowder of Austin, Texas. He was convicted of making Molitov cocktails and plotting to use them against police during the RNC here in St. Paul. 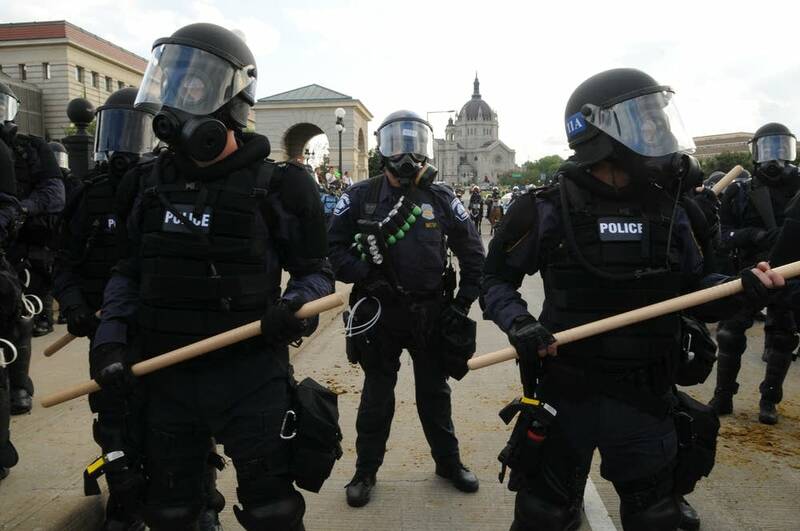 Mainstream media carried Images of delegates rallying in the Xcel Energy Center, protesters demonstrating outside, and police officers trying to maintain control of the streets of St Paul. But, documentary director Chris Strouth has focused on another angle of the RNC. He's assembled footage recorded by citizen-journalists, protesters and bystanders for his film - "Unconvention: A Mix Tape from St. Paul, RNC 08." He joined Tom Crann in the studio to discuss the documentary. Strouth is screening the film at the 27th Annual Minneapolis-St.Paul International Film Festival at the St. Anthony Main Theater on April 26, 5:15 p.m. Strouth will present the film and take questions from the audience.